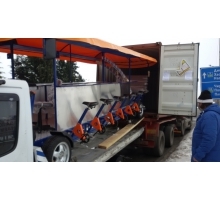 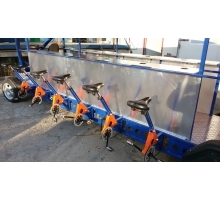 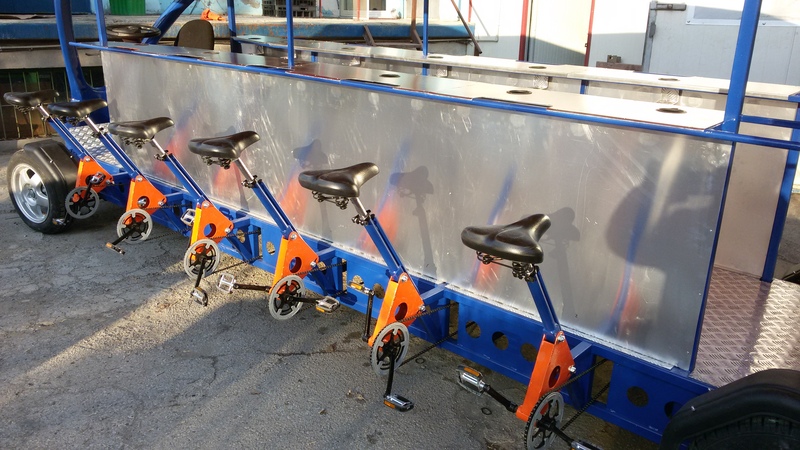 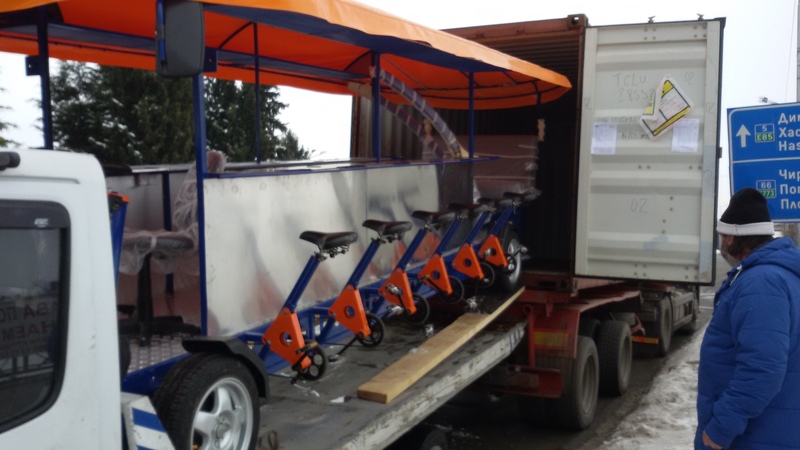 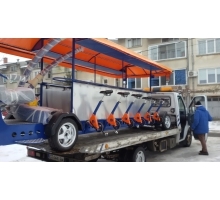 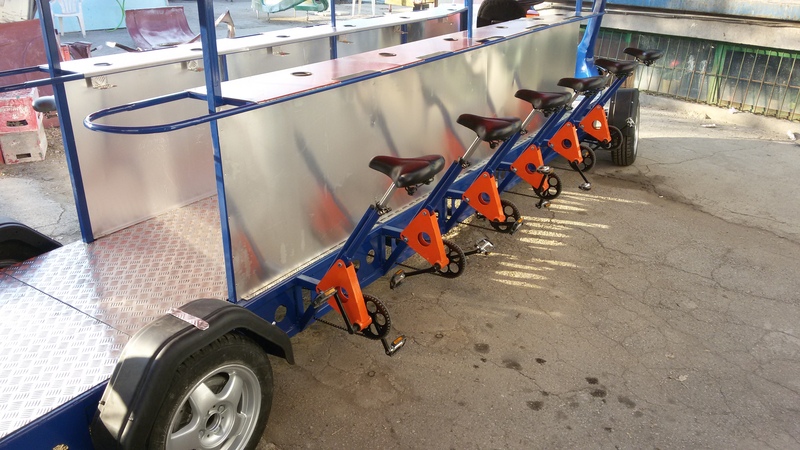 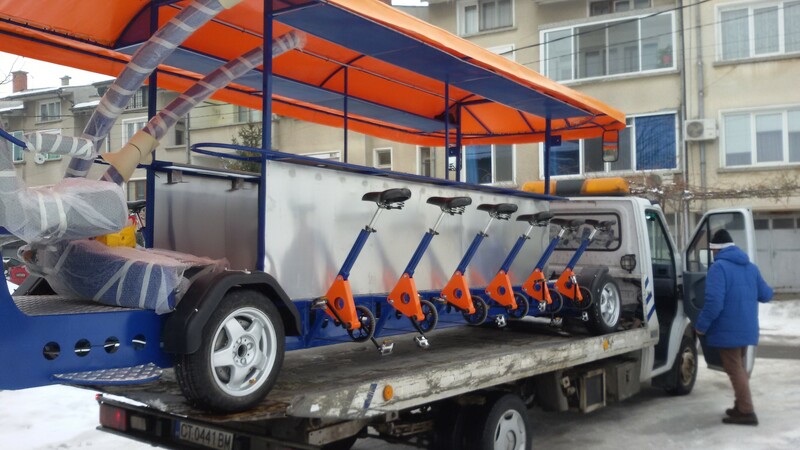 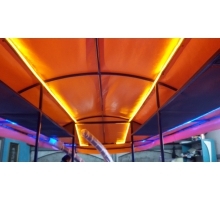 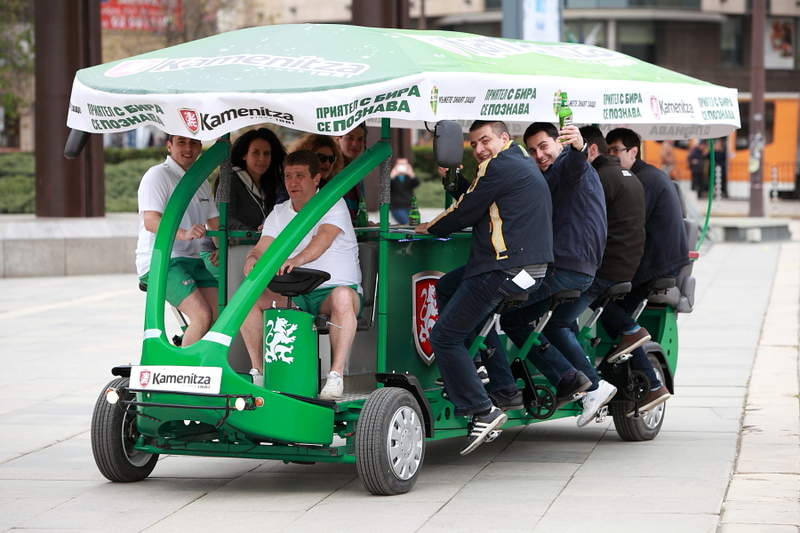 Beer Bike Bar is designed to carry 8 cyclist and operated by a driver. 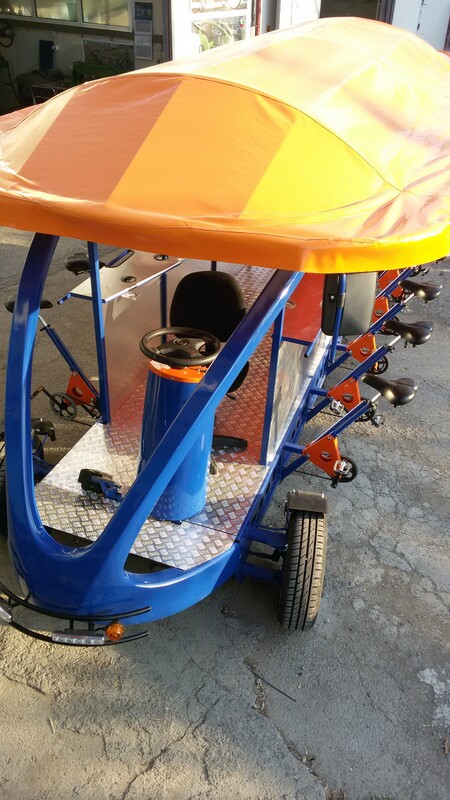 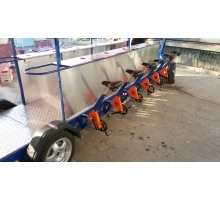 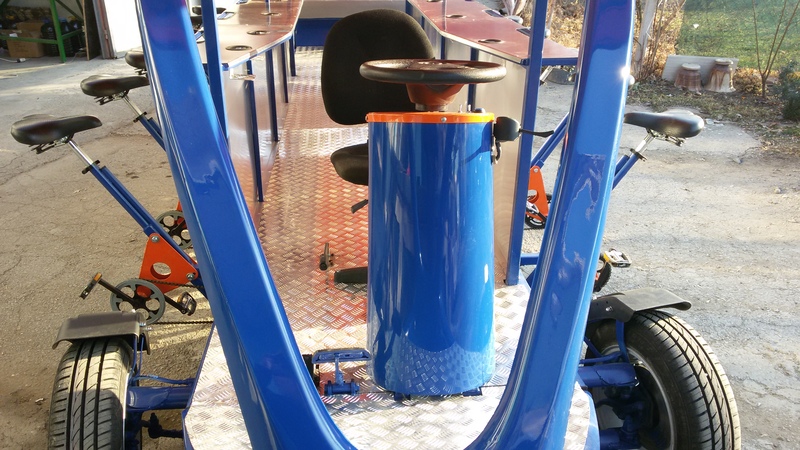 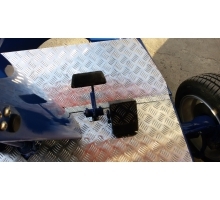 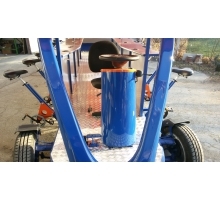 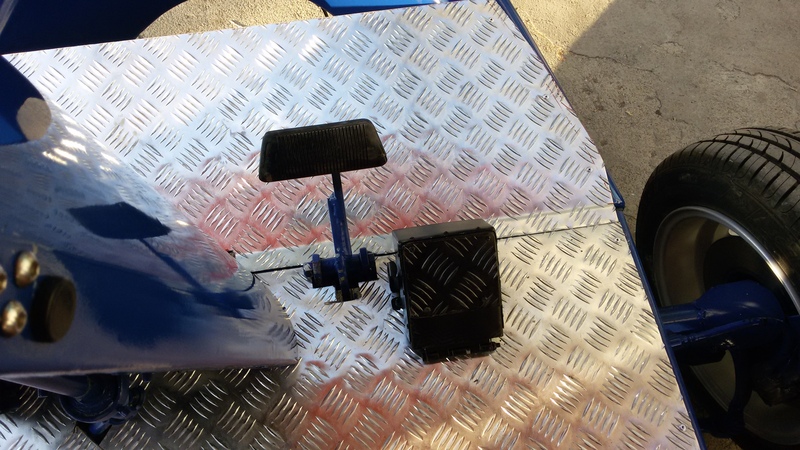 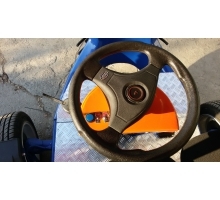 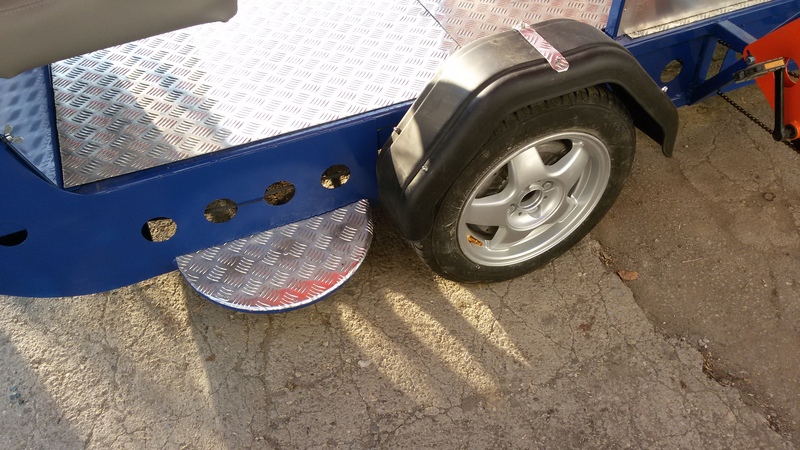 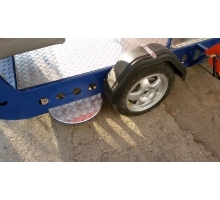 Has 8 places for cyclists, seat for three passengers at the rear end and 8 standing places. 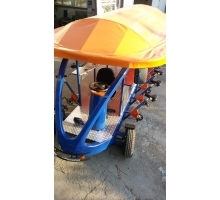 Has its own lighting system: front and rear lights - LED lights up to 10 meters, front and rear turn signals, stereo music system and rear-view mirrors. 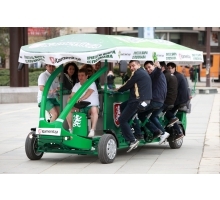 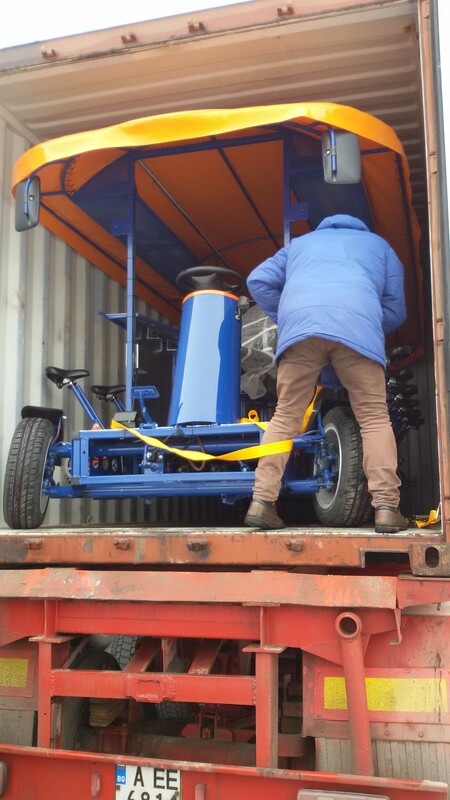 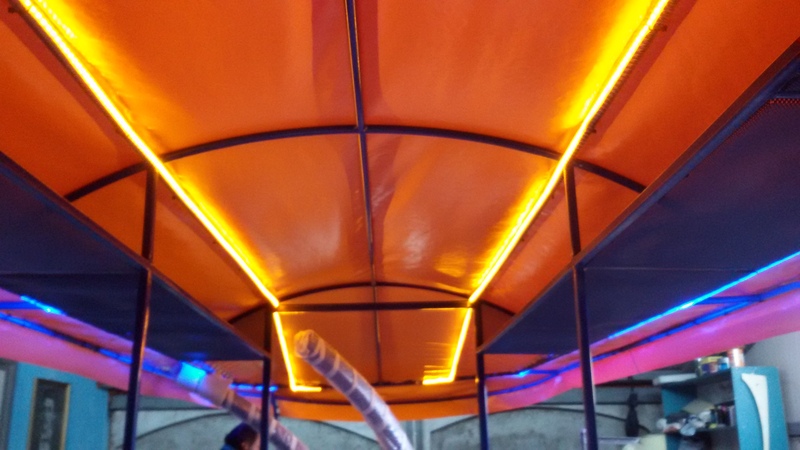 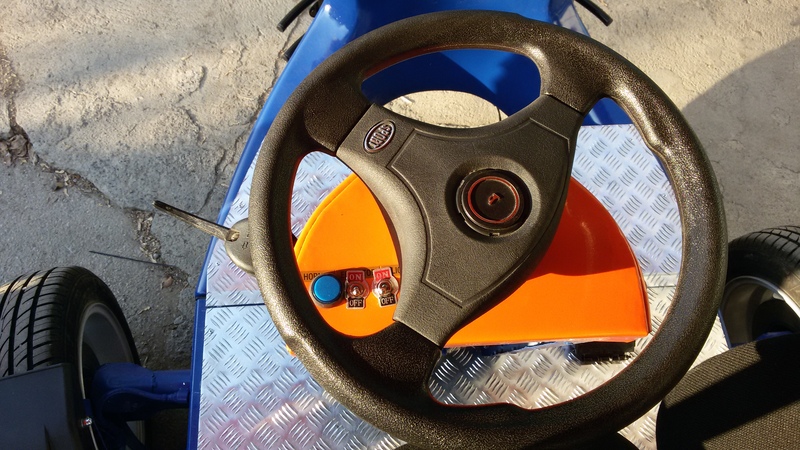 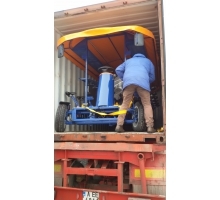 There's an extra installation of plant beer and an electric motor for propulsion movement.